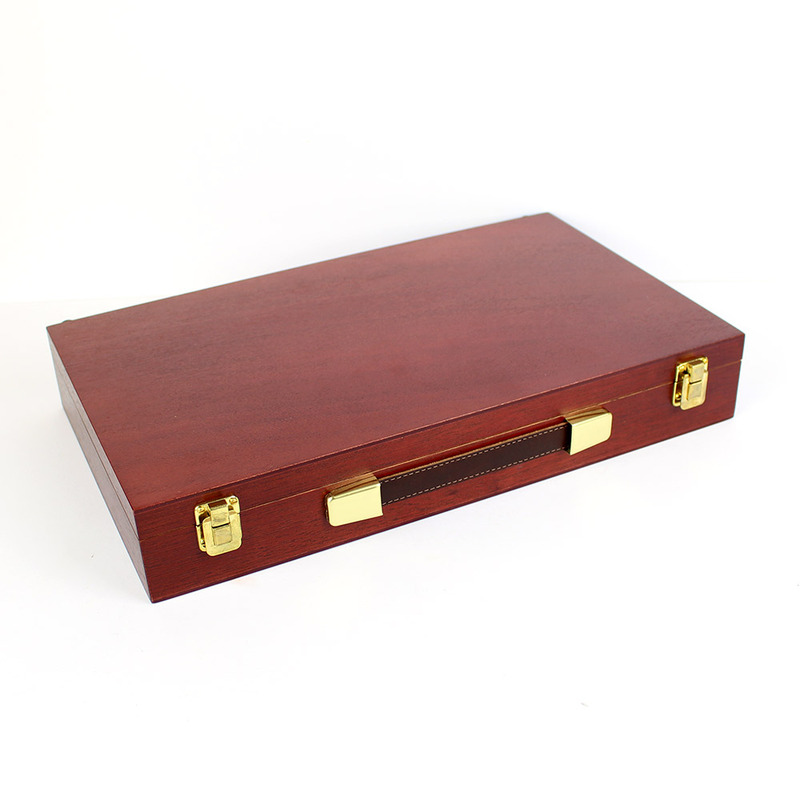 A superb quality mahogany wooden box manufactured in solid mahogany and with a carrying handle. 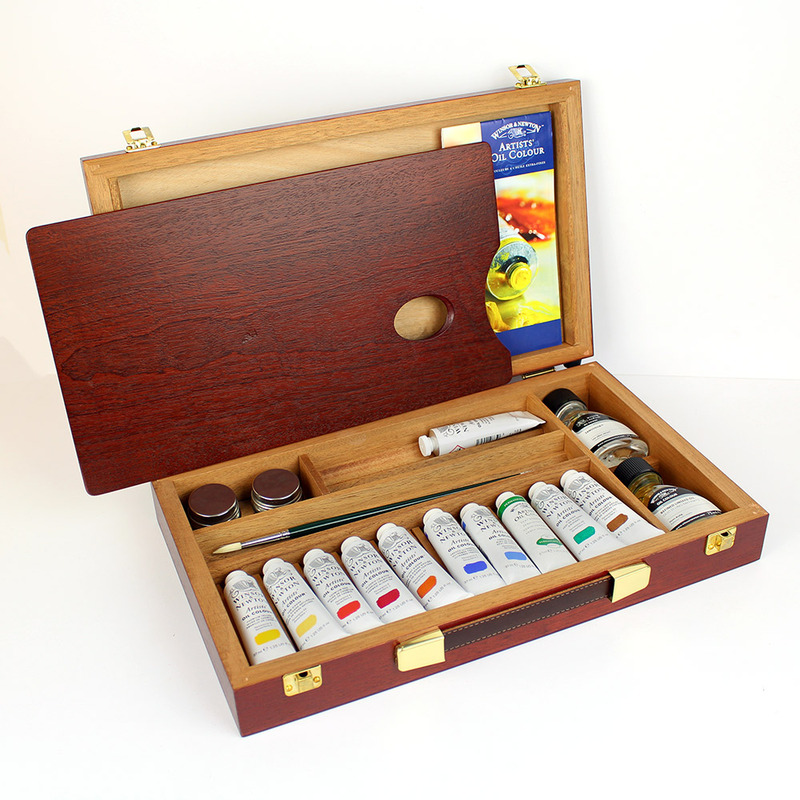 This set has been discontinued by Winsor & Newton, but we have been able to aquire the empty wooden boxes and fill them with the products shown on the contents section. 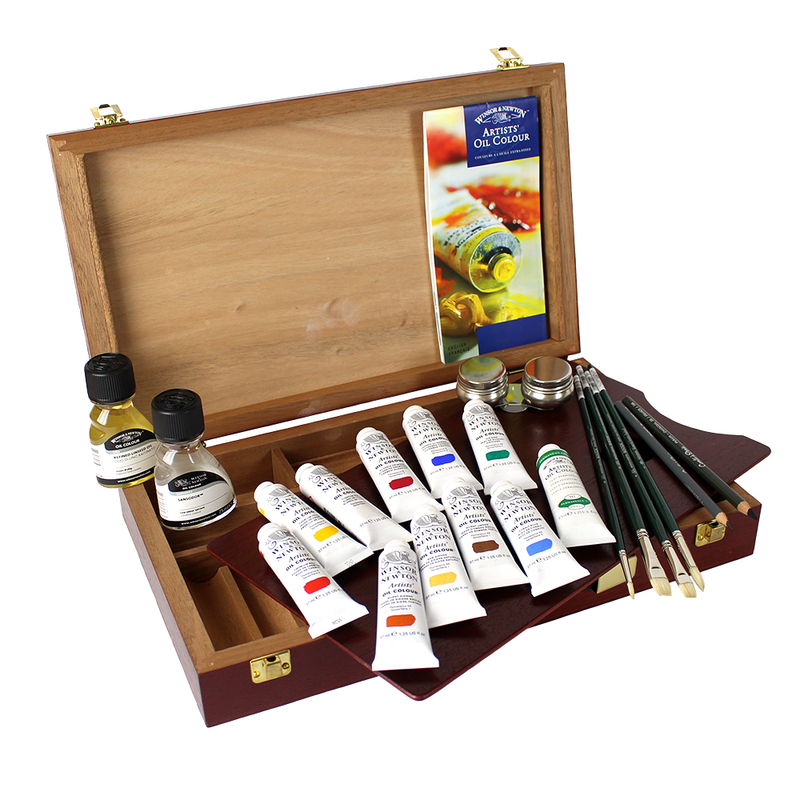 The contents of this set has an RRP value of £181 if bought separately and this luxury wooden box is worth about £50.00. • Double Dipper with lid. Width 41cm x Depth 25cm x Height 6.7cm.